May your dolls make you great friends! Last week I got a very beautiful surprise in my mailbox. 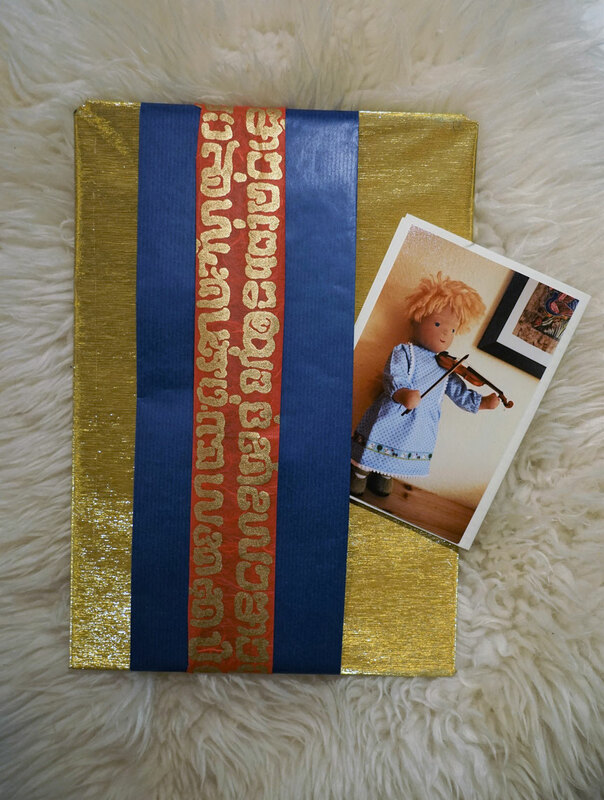 A very beautiful package, with a long letter and a super doll calender. Johanna, whom I met in one of the doll making support groups as I started to make dolls, sent it to me. She has been making dolls over twenty years and was always very helpfull with any question I had. She is one of those wise people with huge heart. I never met her, I don't know how she looks like. Still I know a lot about her through our letters, postcards and emails. 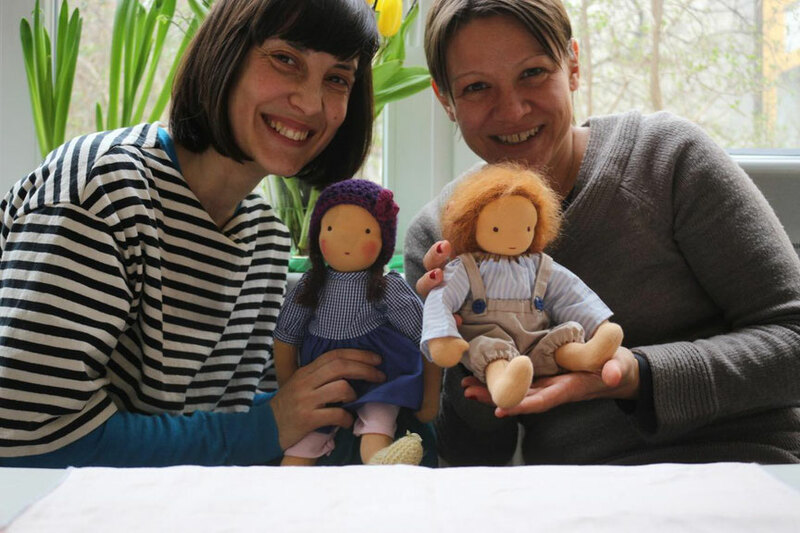 Yesterday I met my friend Maike (Feinslieb dolls) for a breakfast. I visited her at her place. She prepared the best breakfast I had recently. I was luckly to have a chat with her, sneaking into her beautiful working room. She has a big cupboard with many small drawers. Each drawer has a different sort of fabric, with the name on it. 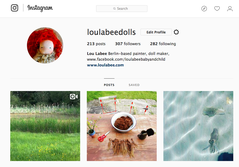 Liberty fabrics, doll skin fabrics... And lots of other beautiful stuff. Of course several beautiful dolls!!!! Another creative, talented person with the warmest heart, whom I had the change to meet throughout my doll making adventure. I have of course several other doll making friends, for whom I am very greatfull. Without doll making, I would have not meet these people. Maike and her lovely dolls!